Scientific and intellectual discoveries - attempts to explain the unknown and often unseen - can be considered journeys of the mind. Sometimes scientists' speculations led to actual voyages, but more often they prompted a result or outcome achieved through observation and experimentation. 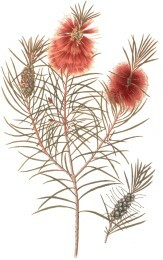 Works from the 1700s and early 1800s represent the "golden age" of natural history, a period that combined a flood of material from exotic lands, a newly developed system by Carolus Linnaeus for identifying and organizing it, and the peak of copperplate engraving and etching technique. Lavishly illustrated works document the pride in discoveries being made at that time; many zoological and botanical treatises from the period have never been surpassed for beauty and accuracy. Scientific advances in fields from microscopy to space exploration, and from the earliest alchemy to the decoding of DNA, reflect the explorations of scientists beyond the observable universe. At the Smithsonian, science and the history of science have been important from the beginning. Notable works of discovery in the physical and biological sciences and the history of technology form the strongest collections in the Smithsonian Libraries. The natural history library collections, the result of many scientific voyages and expeditions, contain rare illustrated works still used by scientists for taxonomic classification (identifying and naming species). Specimens collected on these travels have become part of the Smithsonian collections and now number more than 120 million items. 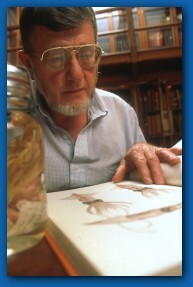 In addition to specimens, Smithsonian staff have always collected and donated books to the Institution. 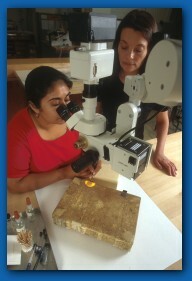 As a result, its library collections document museum and collecting practices from the 1600s into the present century. The largest special collection of the Smithsonian Libraries is the Dibner Library of the History of Science and Technology. It was established in 1976 by a gift from Bern Dibner (1879-1988), an inventor, engineer, and book collector, who built his collection into the Burndy Library, an independent research center in Norwalk, Connecticut. The Smithsonian's collection is particularly strong in the theoretical journeys of mathematics, physics, chemistry, and astronomy.